We all have childhood memories of magical stories and myths that we were convinced to be real. The basics like Father Christmas, the Tooth Fairy and the Easter Bunny were among them, but I am talking more about Narnia and the possibilities this opened up to our minds. I sometimes feel the greatest tragedy of growing up is the realisation that these stories were just that and that the real world is much less exciting. While I am not a fan of Pokemon Go and my lack of understanding around the game probably clouds my judgement on those playing it, I can certainly see why it may be appealing to the younger generation. It has created a virtual world within our own world that can only be seen by the players. For kids, that has got to be exciting, right? But, looking at this from a “tech” point of view, what does this mean and how is it helping towards our future. After a bit of research into the technology of the game, it was interesting to learn that the biggest downfall of the game is actually the devices that it is being played on. Having a magical virtual world all around us, integrated into our normal days, but viewed through a small screen while being hunched over is not the best entry into VR, but is this about to change? 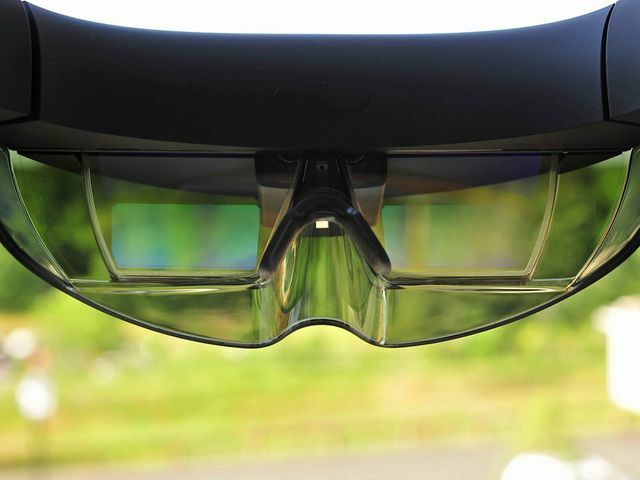 This article shows how a team of developers have taken the HoloLens and adapted it to work with the game, taking it to the next level. This brings us back to the days of watching Back to the Future and wondering if any of it would ever be a reality. So what are the benefits of RL (Real Life) Games that most of us are yet to see? Apparently there are both physical and mental benefits to playing. The physical side is a little more obvious. You spend a lot of time on the go and certain parts of the game require you to be active (5000 steps required to incubate characters etc). The mental benefits are a little more subtle, but much more important in the log run. RL Gaming is already being tested as a treatment for depression and anxiety, and as the games and Augmented Reality progress, so will the treatments available. So what, I hear you asking, does the future hold for us? One insight, way way ahead of our time, is that Nanotechnology will be introduced to VR, allowing us to push beyond the boundaries of the human body and enter the digital world. In theory, your brain could be uploaded into a computer system or network, creating complete immortality. But for now, I am just happy to have a better understanding of why we are seeing hunched over zombies wandering our high streets with their eyes glued to their phones. The reality of it may not be something we all want to run out and join in with, but the potential it opens up is pretty exciting. You've been wondering how cool it would be to catch Pokémon in a HoloLens, right? Well, developer CapitolaVR got their hands on a HoloLens and quickly began coding up the experience to see how it would work out. Having only just received the unit the day before, CapitolaVR was able to get a concept of the game working on the HoloLens, and captured video of it to show everyone.